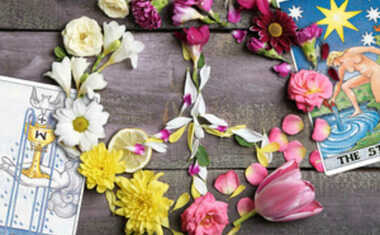 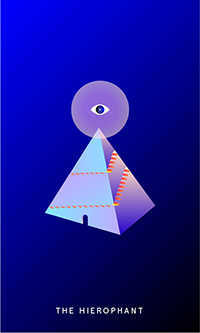 Expand your inner knowledge and share it with others. 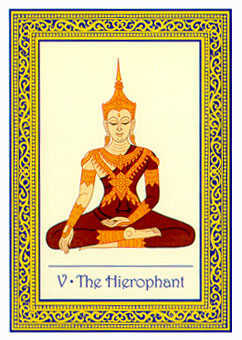 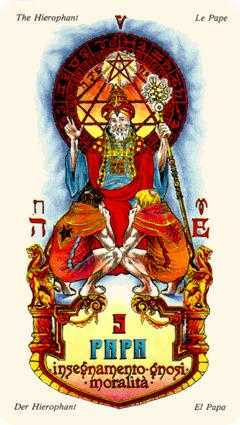 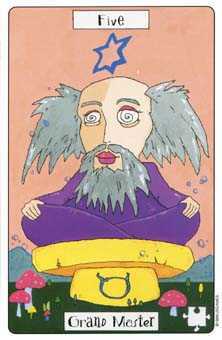 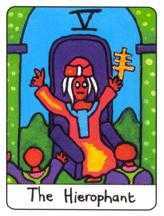 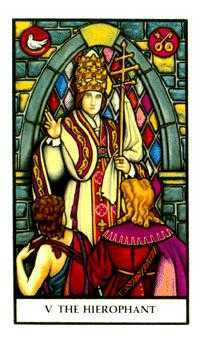 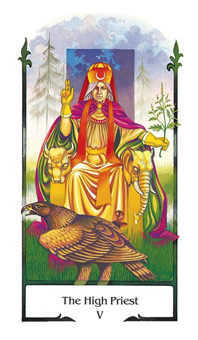 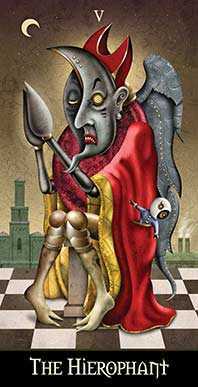 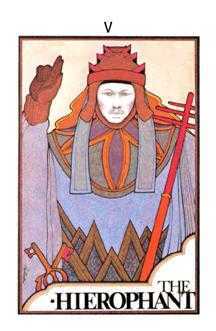 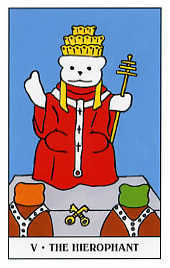 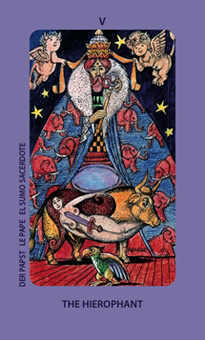 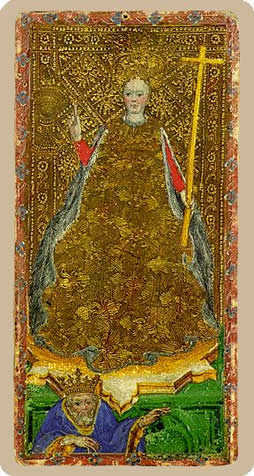 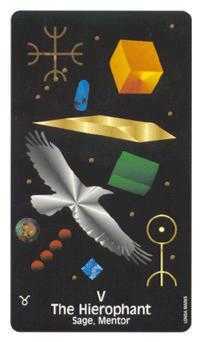 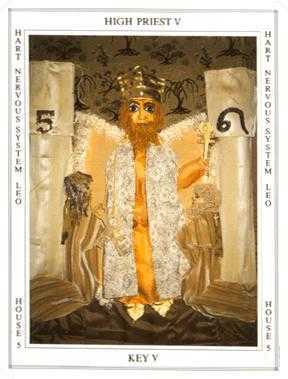 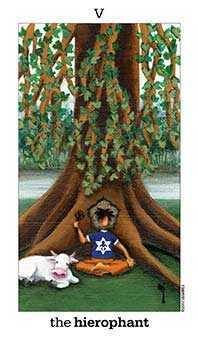 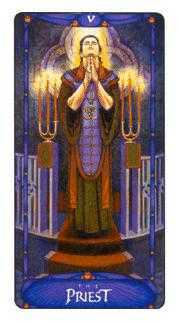 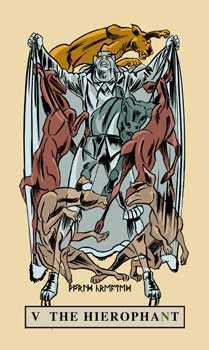 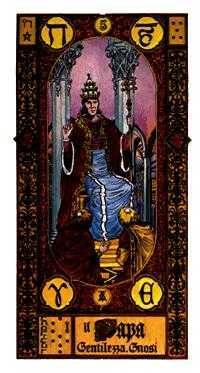 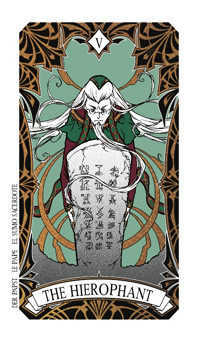 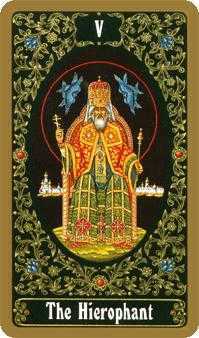 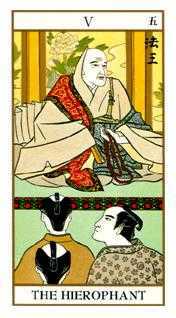 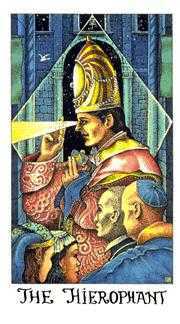 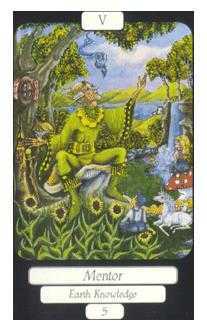 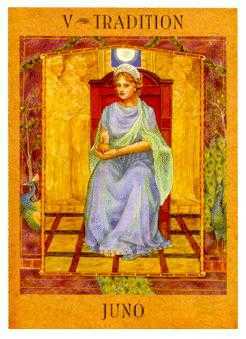 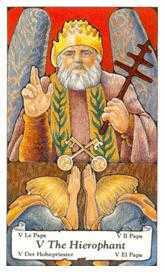 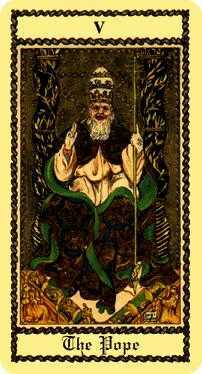 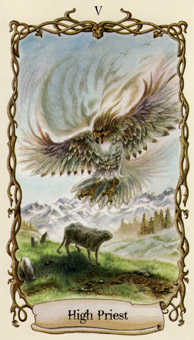 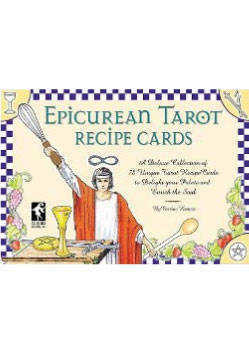 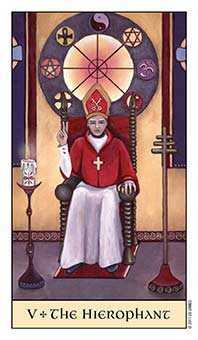 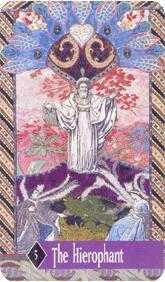 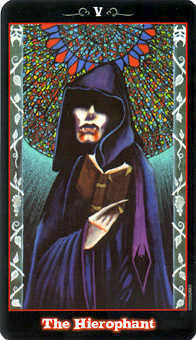 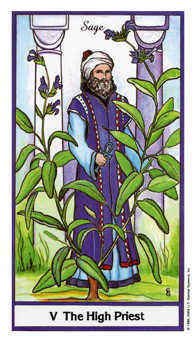 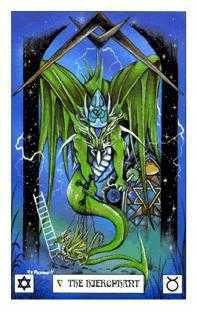 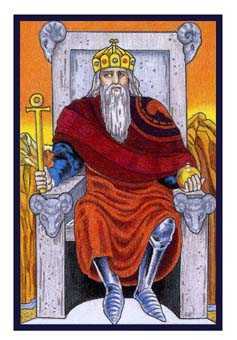 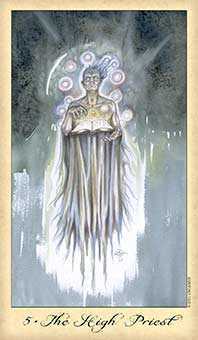 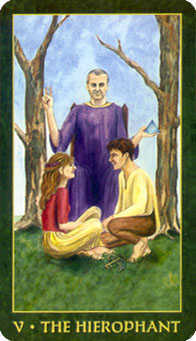 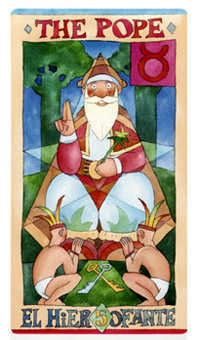 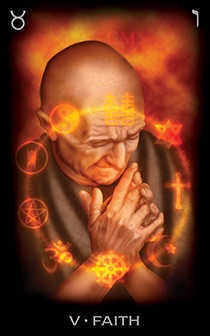 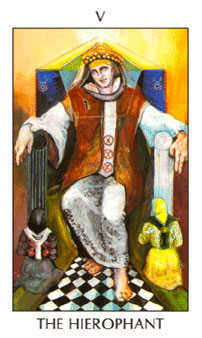 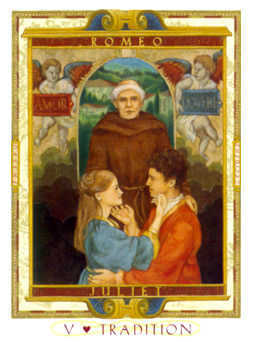 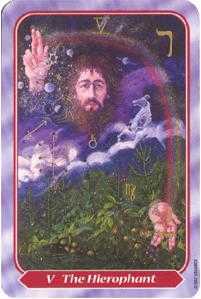 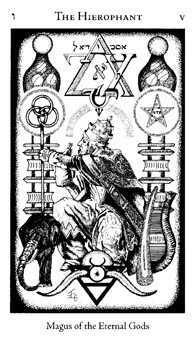 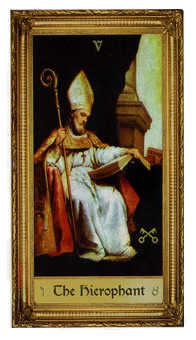 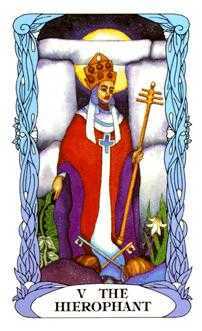 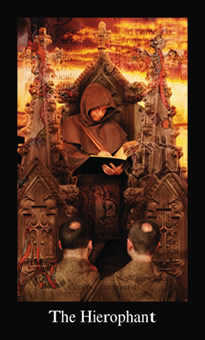 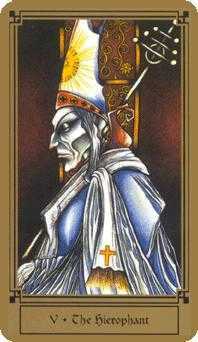 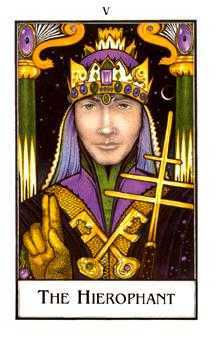 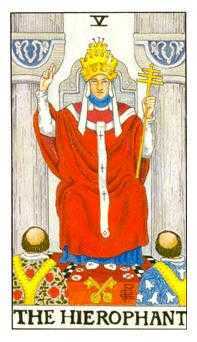 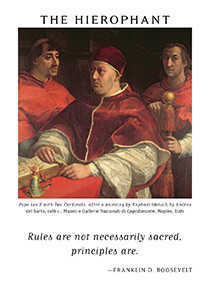 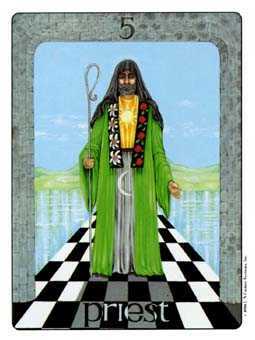 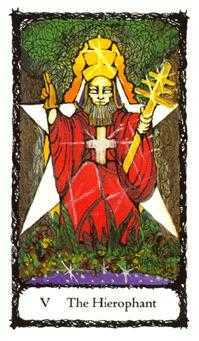 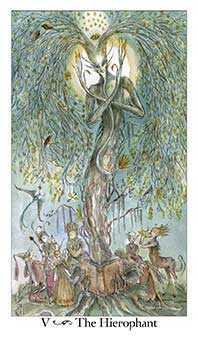 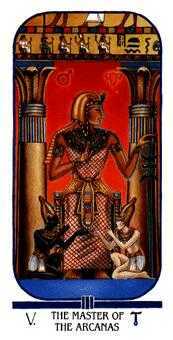 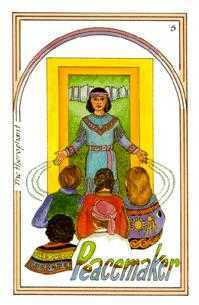 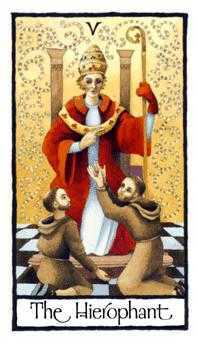 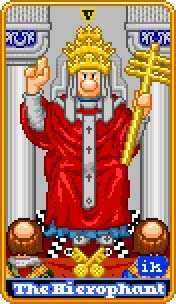 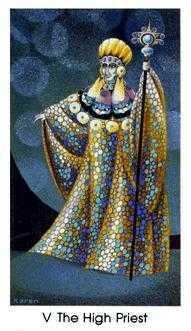 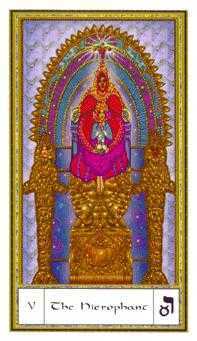 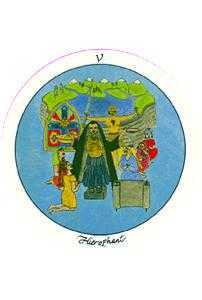 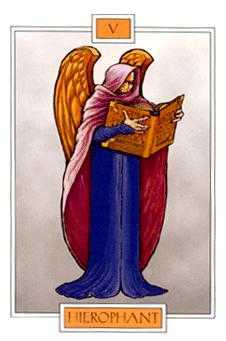 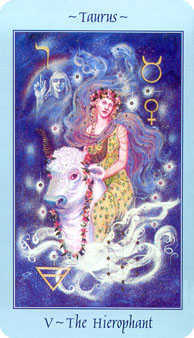 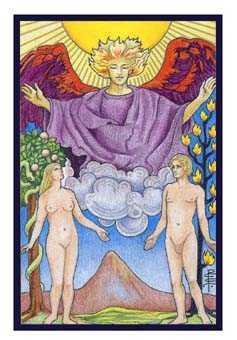 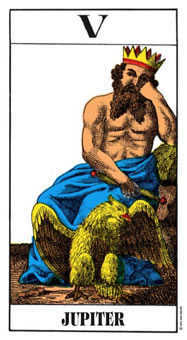 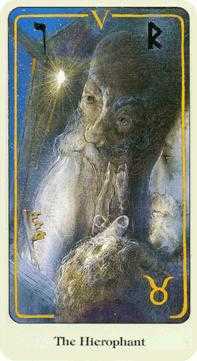 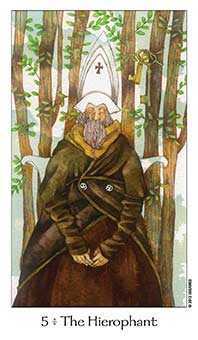 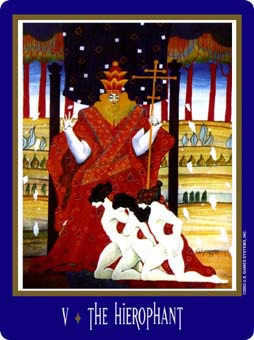 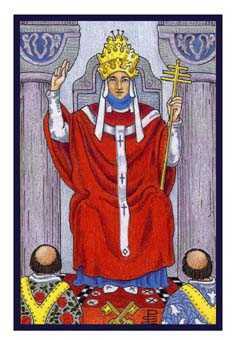 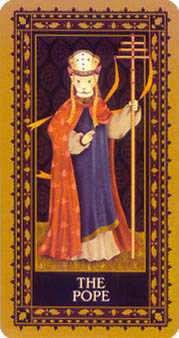 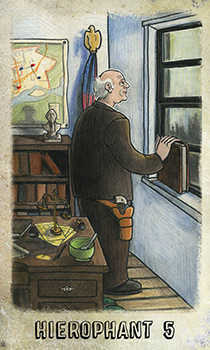 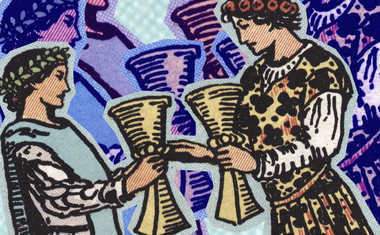 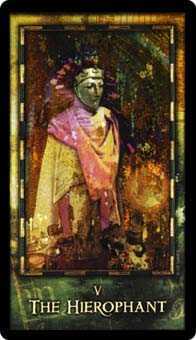 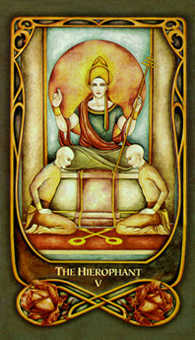 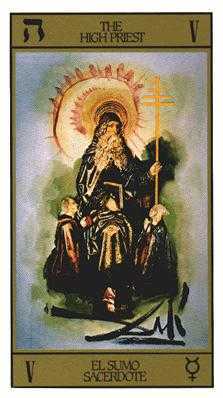 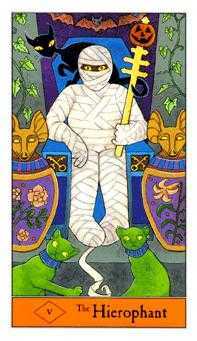 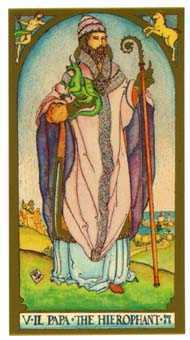 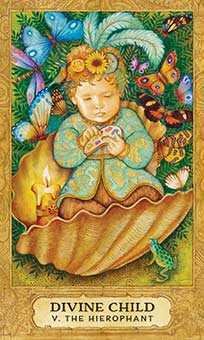 The Hierophant Tarot this card refers to a master and the learning of practical lessons from the study of natural law. 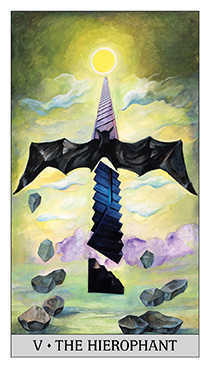 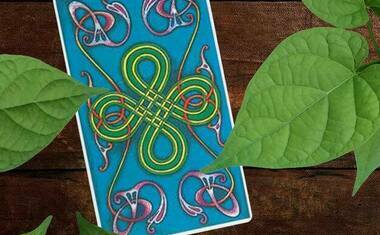 This energy of this card points to some agent or resource that can reveal the secrets of life, the cycles of the Moon and tides, the links between human beings and the heavens. 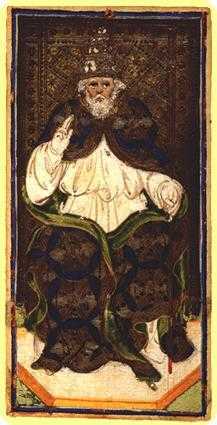 Because monasteries were the only places a person could learn to read and write in the Middle Ages, a Hierophant was one to whom a student would petition for entry. 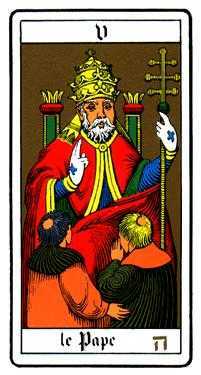 He was the one to set the curriculum for the neophyte's course of study. 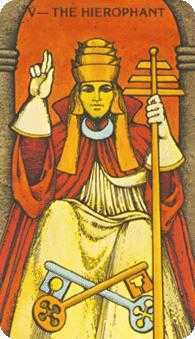 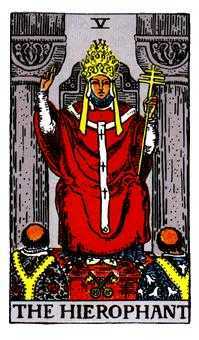 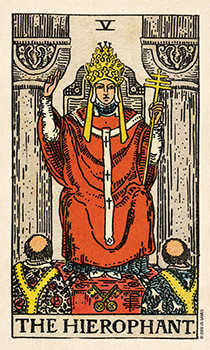 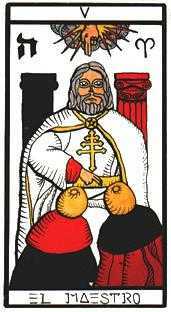 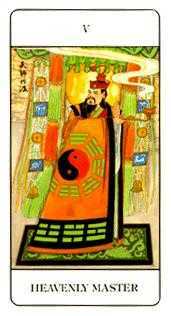 Often pictured with the right hand raised in blessing, the Hierophant is linked with the ancient lineage of Melchezidek, initiator of the Hebrew priestly tradition, the one who passes on the teachings. 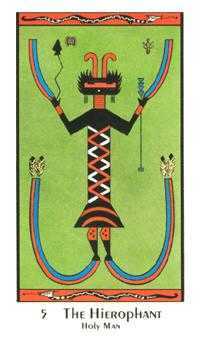 All shamans of any tradition draw upon this archetype. 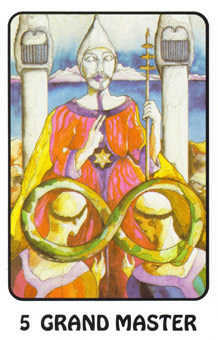 Develop your expertise, and have faith that you are a master in the making. 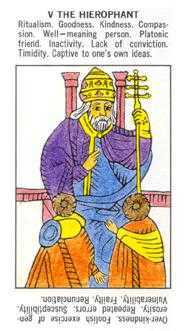 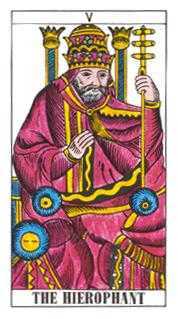 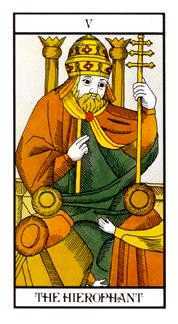 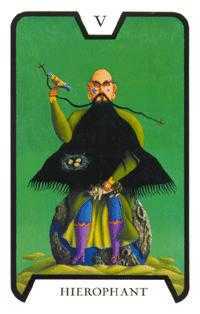 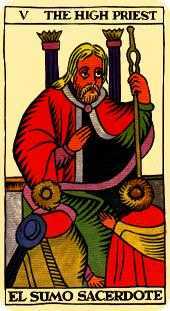 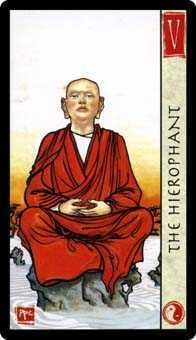 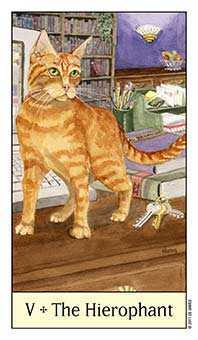 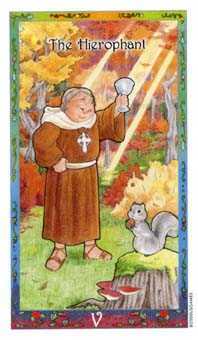 The Hierophant advises that you return to the role of a meticulous student. 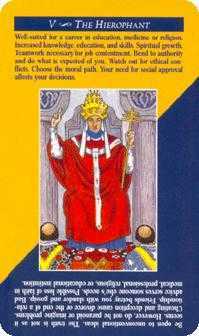 Learn everything you can about your chosen area. 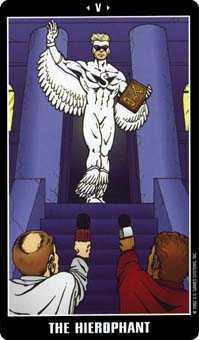 Let that knowledge become a part of you and an operative influence on your day-to-day awareness. 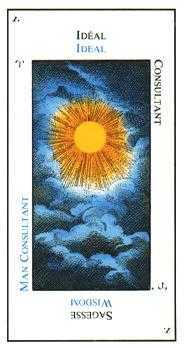 In this way, you can slowly and steadily establish real credibility in your field or chosen subject. 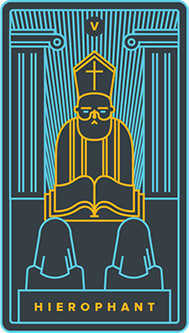 Earn respect and recognition by completing your education and broadening your experience. 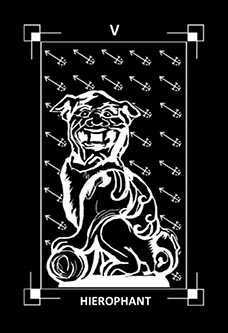 If you already have all the necessary experience you need, then rewrite your resume so others can appreciate who you are and what you can bring to a situation. 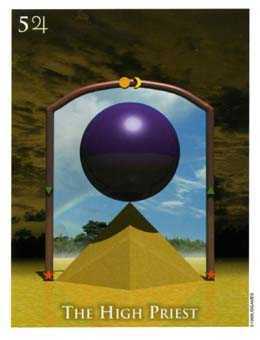 Focus on your goal and be determined. 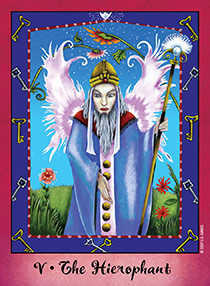 You may be destined to be a master in your realm.